Motorhead's Phil Campbell is working on a new project, Panda Party, who describe themselves as "four friendly pandas who live on Panda Island". 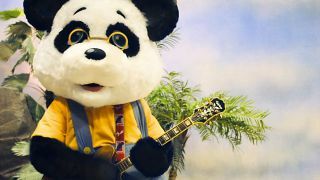 Members of the band include singer Punky Panda, keyboard player Penny Panda, guitarist Texas Pete Panda, and drummer Percy Panda. For more information about Panda Party, visit their website. Motorhead played at Wembley Arena on Saturday.